Two years after California required its more than 1,000 school districts as well as charter schools to draw up Local Control and Accountability Plans to establish goals and describe how they would use state funds, the documents have mushroomed in size, in some cases to hundreds of pages long. The burgeoning size of the LCAPs, as they are commonly referred to, is raising questions about whether after just two years in existence they are turning into a daunting bureaucratic exercise, taking hundreds of work hours to draw up and many more hours of review by county officials who must approve the plans. The length of the documents may also make them hard for parents and other community stakeholders to read and understand, undercutting one of their principal goals, which is for districts to be transparent about their goals and to make districts accountable for meeting them. According to an EdSource survey, the average length of an LCAP in the state’s 30 largest districts last year was 54 pages, and this year it has grown to 145 pages. Two-thirds of the plans at least doubled in size from last year – with some of them growing three, four, or even five-fold. In 13 districts, the document ranged from 50 to 100 pages. In 10 districts, plans were between 100 to 200 pages, and in six districts they were more than 200 pages. The heftiest plan for the current school year is the San Bernardino City Unified district’s document, which is 438 pages long, up from 119 pages last year. West Contra Costa Unified, with an LCAP of 47 pages, is the only district among the 30 surveyed that had a plan fewer than 50 pages this year. The Local Control and Accountability Plans are the centerpiece of a major reform of California’s school finance system, championed by Gov. Jerry Brown and approved by the state Legislature in July 2013, that shifts more decision-making powers to local school districts and allocates additional funds to districts based on the number of low-income students, English learners and foster children they serve. State education leaders, as well as many advocates, face a dilemma. The plans should be accessible and understandable to a range of education constituencies, including those that traditionally have not been involved in budget decision-making. But they must also be detailed enough to give a clear indication of what exactly a school district is going to do in eight “priority areas” set by the state, ranging from academic performance to school climate and parent engagement. One reason for the super-sizing of some of the plans is that the State Board of Education last year changed the template, among other things adding a section requiring districts to include an annual update. State regulations had already resulted in a lengthy document, because districts have to provide a detailed action plan for each priority area, along with a breakdown for subgroups of “high needs” students, and expenditures for each. The updates required by the board had the potential to double the length because each action described in the accountability plan could invite a detailed response. In a memo to the State Board of Education in advance of its meeting next week in Sacramento, the California Department of Education has found that “in many cases, LCAPs are challenging due to the length and complexity of information.” As a result, the report said, “the implementation is falling short of coherent goals and transparent decisions” about how districts are allocating state funds. Concerns about the plans’ length and accessibility came up at the board’s meeting last month. Aida Molina, an assistant superintendent in the Bakersfield City School District and a Gov. Brown appointee to the board, said that drawing up the plan in her district had been a “cumbersome process.” “It is not easily read and understood,” she said. That certainly appears to be the case in Los Angeles Unified, by far the state’s largest district. Its current plan grew more than five-fold, from 39 pages last year to 224 pages for the current school year. In drawing up its plan, a district is required to get input from a range of education constituencies, including parents, teachers and even students. The plan must then be reviewed by the district’s county office of education, and updated each year. “We want to make sure this (the LCAP) does not become another compliance exercise, but instead one that is moving to supporting a local-driven system of continuous improvement,” said Peter Birdsall, executive director of the California County Superintendents Educational Services Association. The task of putting together an LCAP from start to finish is daunting – and it is getting more challenging every year. In Sacramento County, for example, the average length of an LCAP last year in the county’s 13 districts was 50 pages. By this year, the average length of a plan in the county had grown to 120 pages, according to a report from the Sacramento County Office of Education that was presented to the California State Board of Education in September. Some districts have attempted to make their plans user-friendly, typically by adding an easier-to-read summary at the beginning of the document. Fremont Unified in Alameda County and Corona-Norco Unified in Riverside County, for example, have come up with bold infographics to explain what is in their current documents. The West Contra Costa Unified district, whose plan last year was 18 pages, has summarized its 47-page document this year in a three-page executive summary. The California Department of Education is compiling examples of school district attempts to make the LCAPs easier to navigate, and will present those to the state board at its November meeting. At the same time, the plans have become a drain on employees’ time in districts and at the county offices of education that are required to review and approve the plans. The Sacramento County Office of Education estimates that it took an average of 44 hours to review a small district’s plan, and 90 hours to review a large district’s plan. In total, it estimated it spent nearly 1,200 hours to review the LCAPs of the 13 districts in the county, which included 258 hours of professional development to prepare county staff to do the reviews. Administrators in the Kern High School district managed to trim the district’s goals from 27 last year to just four this year – and still ended up with a plan that increased by 329 pages from 66 pages last year, for a total of 395 pages this year. As in other districts, Kern’s document ballooned largely as a result of the new template required by the state, said Lisa Gilbert, chief academic officer in the Kern County Office of Education. Gilbert pointed out that, notwithstanding its length, the district’s plan and the process for adopting it has been positive. One outcome is that more parents are coming to meetings and giving feedback to school officials. Students also are voicing their views on how to improve their education, “even if they didn’t read all 400 pages” of the plan,” Gilbert added. “Now the average person is engaged in the process,” she added, while local media are covering school district meetings. There is, however, a danger that districts’ plans will meet the same fate as the School Accountability Report Cards, an annual report that every school in the state is required to draw up. It was mandated by Proposition 98, approved by voters in 1988. Over the years, the SARC has grown to an unwieldy length and has mostly become a compliance exercise that few people know about, let alone read. Like the LCAPs, the SARCs were supposed to provide information to ordinary Californians to “ensure our schools are spending money where it is needed most,” according to the language of the Prop. 98 initiative. “We want to make sure this (the LCAP) does not become another compliance exercise but instead one that is moving to supporting a local-driven system of continuous improvement,” Peter Birdsall, executive director of the California County Superintendents Educational Services Association, told the State Board last month. Matt Levin contributed data work for this report. The costs for LCAP administration? What are the return of investment? Have the LCAP’s metrics identify any effectiveness in classroom and student learning? Is the State paying or financially assisting the school districts to administer and manage LCAP? Our district pays for a director of special projects and even a principal out of our supplemental and concentration funds. Doesn’t that seem wrong?? The summary infographic that Fremont Unified prepared seems like the kind of thing that ordinary, motivated humans could successfully look at without their eyes rolling back into their head. It’s a refreshingly different approach to a hard problem. Here’s the link (from the post) http://www.fremont.k12.ca.us/cms/lib04/CA01000848/Centricity/Domain/1/2015-16%20LCAP%20Infographic%20Final.pdf. So I guess the real question is…what is Riverside Unified doing right? Quit your belly-aching districts! (At least those that are belly-aching.) Districts have just been relieved of a ton of bureaucratic compliance mandates and accounting tracking and reporting around nearly all of the old state categoricals. The deal was that–in exchange for dropping all of that work and for having all this new flexibility with their funds–districts would be fully transparent around their spending and engage community stakeholders in spending decisions. That is going to take some real work. If some see it as merely “compliance” work, then they aren’t following the intent of LCFF which is to use the LCAP as a living, breathing, continuously improving “comprehensive strategic plan” (see LCAP template, page 1) developed and implemented with the school community. Accessibility of the plans to the lay person is an issue, but that can be solved with better graphic design, electronic templates, progressive layers of links to more detail for the more interested and engaged reader, etc. The answer is not to undermine the deal for full transparency and robust engagement with short blurbs and vague generalizations and hidden spending. Have test scores improved since the LCAP mandate? Dawn – great work on the data in your website! Thanks for all the links to the various resources, keep up the fight! Where is San Diego Unified School District, the second largest in the state of California? More important than page length of the LCAP are the quality of the actions described, transparency of the spending, and reflections on the district’s strategies and outcomes. 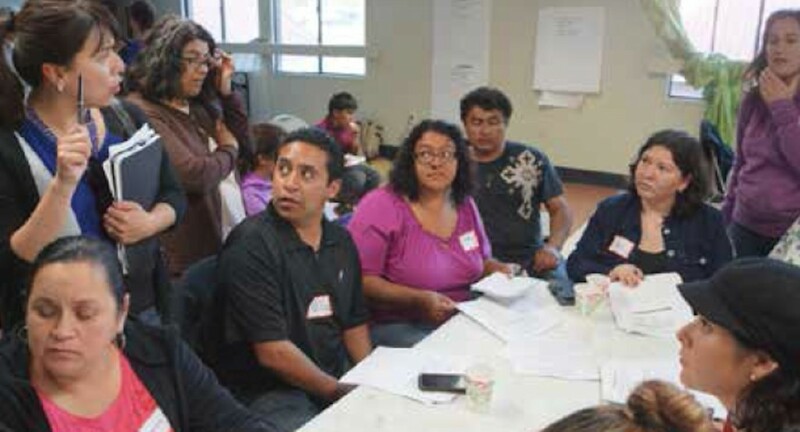 While we cannot tell these things from the length of the document, in reviewing a dozen LCAPs throughout the state, Public Advocates saw that in many cases, longer plans demonstrated a robust effort on the part of districts to treat the LCAP as the “comprehensive planning document” it is intended to be. 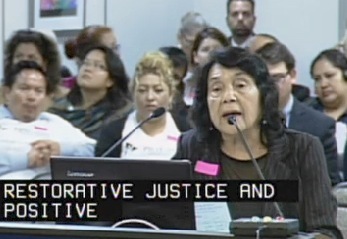 In contrast, we often found that very short plans–while easier to get through–were vague in their descriptions of actions, under inclusive of LCFF spending—sometimes omitting significant supplemental and concentration spending—and/or provided cursory reflection on annual progress. While I agree that accessibility is an important issue, districts and the state should not sacrifice meaningful reflection and transparency of strategies and spending for brevity. The movement towards a usable electronic template and tools for navigating plans, such as Executive Summaries and online dashboards, are steps in the right direction to help bridge the gap between comprehensive and detailed plans and the capacity of parents, students and stakeholders to understand them. One easy fix in the meantime might be interactive table of contents that would allow a reader to navigate and digest the plan in bite-sized slices (for example, actions to support English Learners or strategies to improve school climate), instead of expecting someone to eat the whole pie in one sitting. Amen. While it is helpful to have an executive summary for those who want a concise overview, the public should have access to a detailed description of actions and metrics in a full LCAP, which would allow for accountability. That said, Doug McRae is right when he says LCAPs ultimately have no real accountability for student achievement/outcome. Until there are good, standardized metrics for measuring student achievement and outcome–metrics more meaningful than “attendance rates” or “expulsion rates” (which are only precursors to improved student outcome) and more formative (to allow intervention) as opposed to the widely-touted “graduation rate” (which is essentially an autopsy)–the LCAP is really just a local strategic plan. 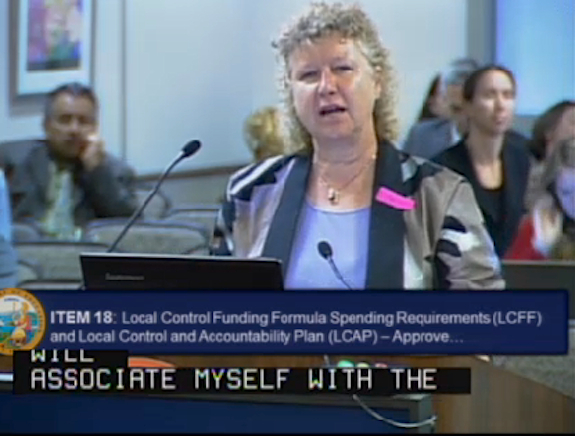 LCAP is misnamed — It’s not an Accountability Plan, it is a Strategic Planning device for local districts. But, the acronym LCSP doesn’t roll off the tongue as easily as LCAP. Strategic planning documents are known in most circles for their verbosity rather than their focus. Another factor causing verbosity in Year 1 and Year 2 LCAPs is the absence of quantitative measureable goals, especially for student achievement which has to be the centerpiece for any multiple measures accountability system for schools and districts. Until the new Smarter Balanced state assessment program delivers valid reliable fair scores (and that is not the case yet), efforts to design a new statewide accountability system will mostly be spinning wheels, or perhaps just public relations political spin . . . .